Start ordering food items from your favorite restaurant via Freshmenu, paying via Paytm UPI and save more. 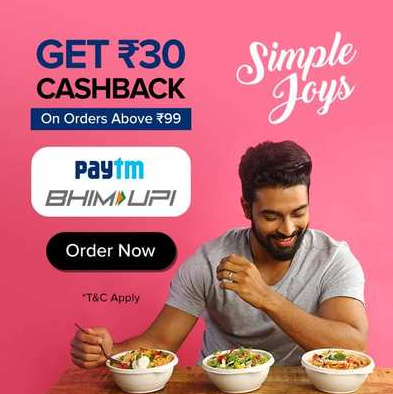 Now get Rs.30 cashback on first 3 Orders above Rs.99 paying via Paytm UPI only at Freshmenu. 4. A number of restaurants around you will be displayed on screen. Choose Restaurant, Food, Quantity and then proceed. 5. Update Full Shipping details with your contact number. 6. Proceed to Payment Page and Make the payment via Paytm UPI. 7. Done !! Cashback will be credited soon.